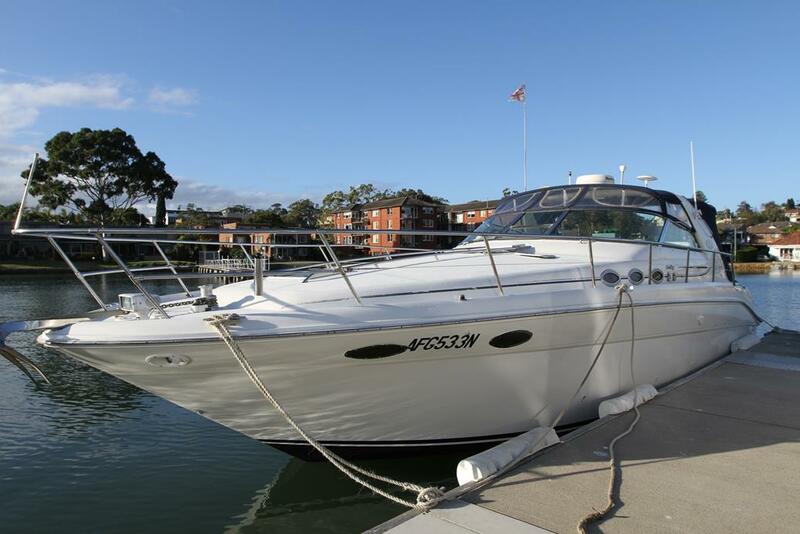 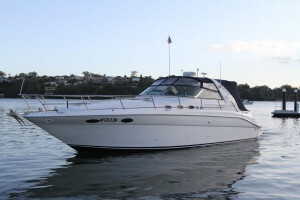 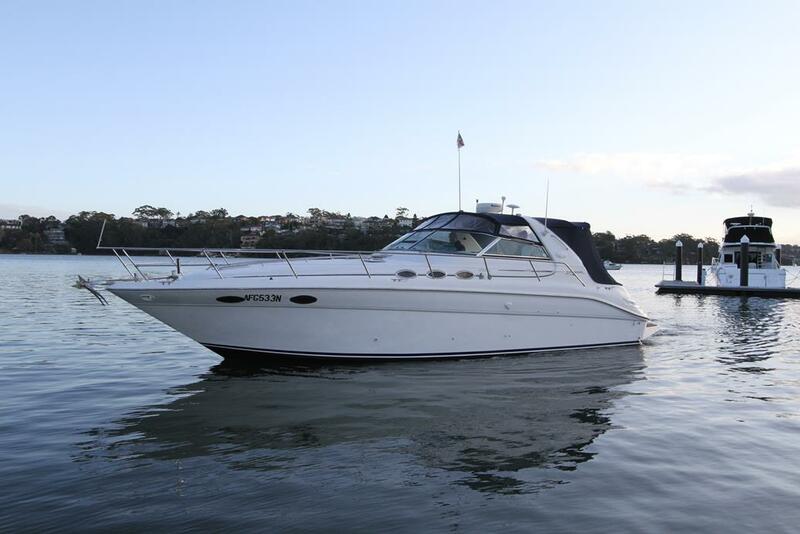 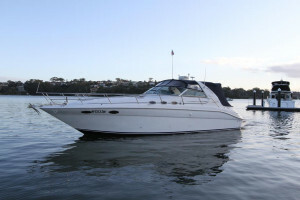 SeaRay 370 Sundancer built in 1996 and powered by twin 7.4 litre shaft drive Mercruisers with low hours since rebuild. 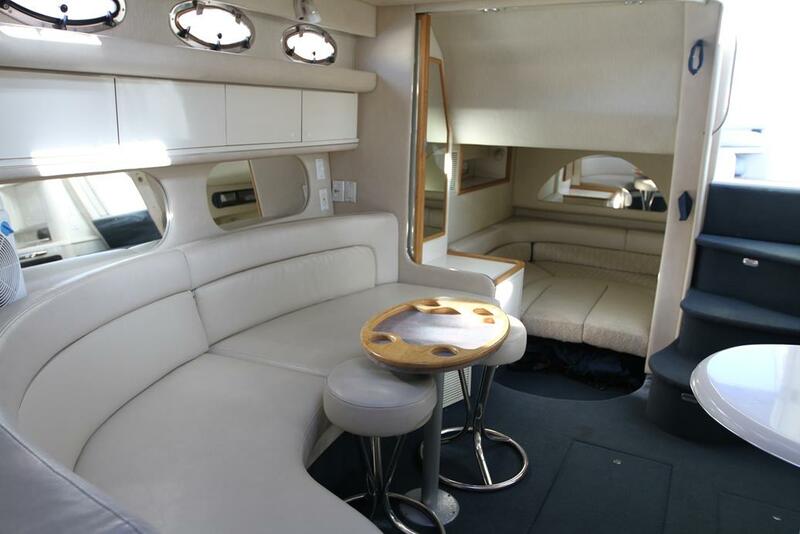 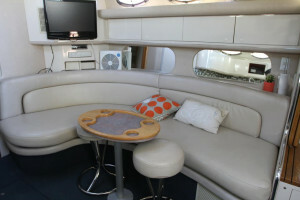 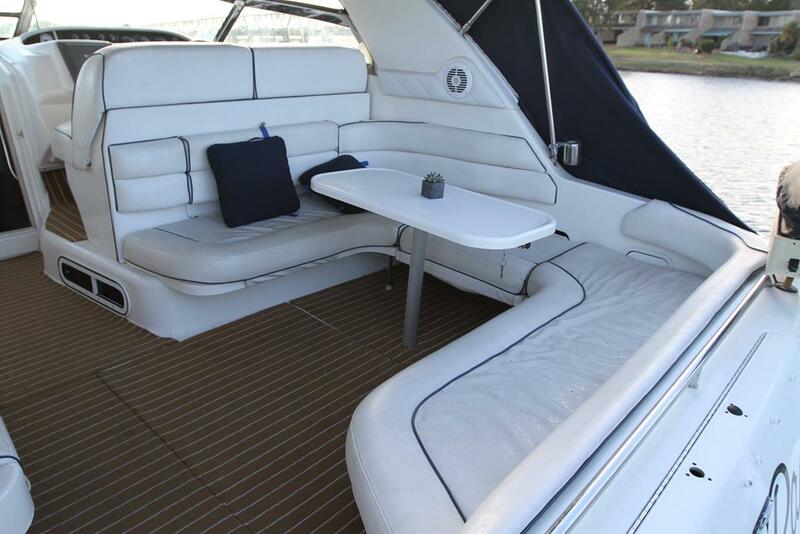 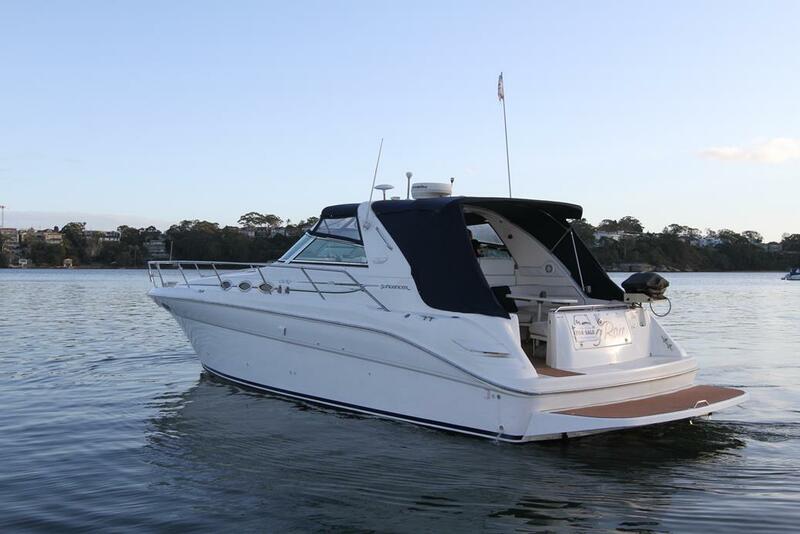 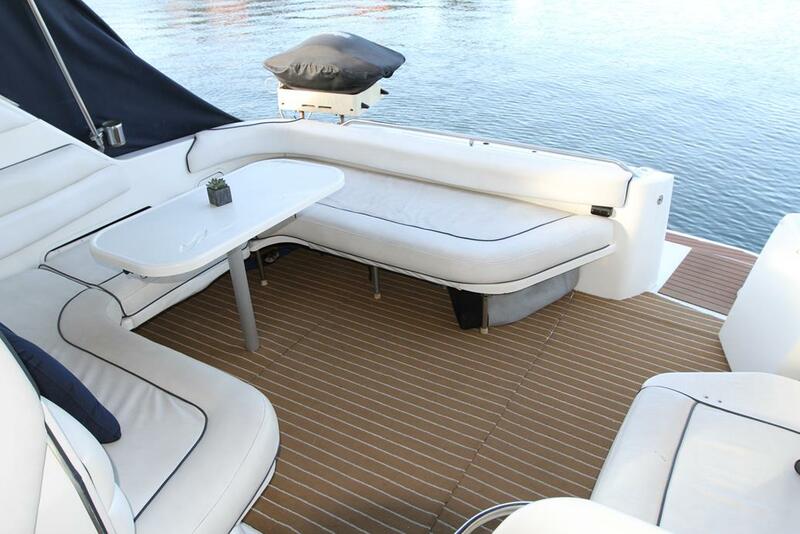 With a twin cabin layout and a huge open entertaining area the 370 SeaRay Sundancer makes the ideal family weekender. 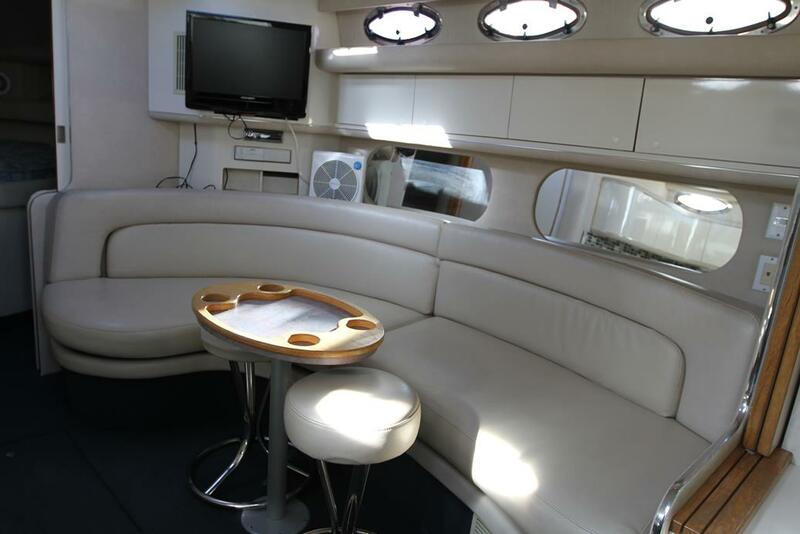 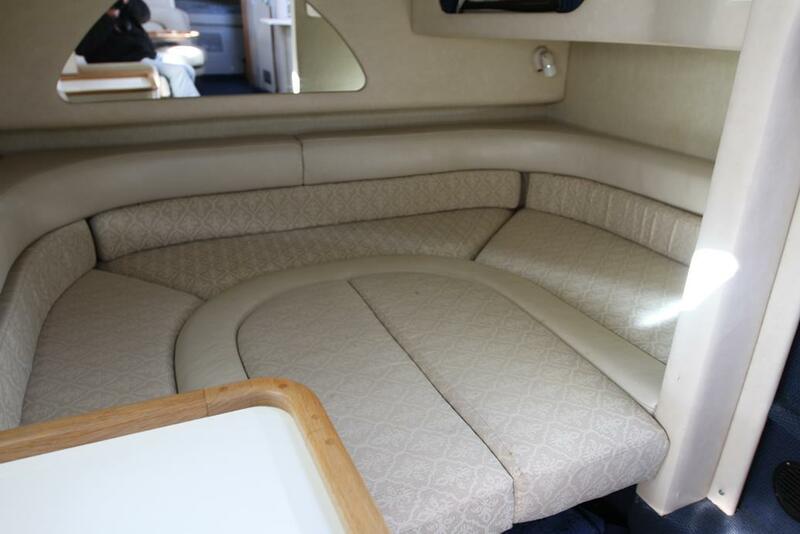 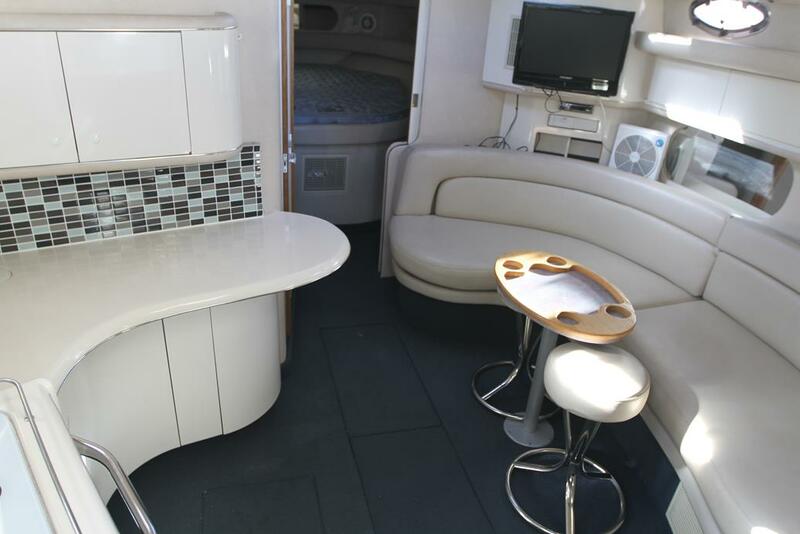 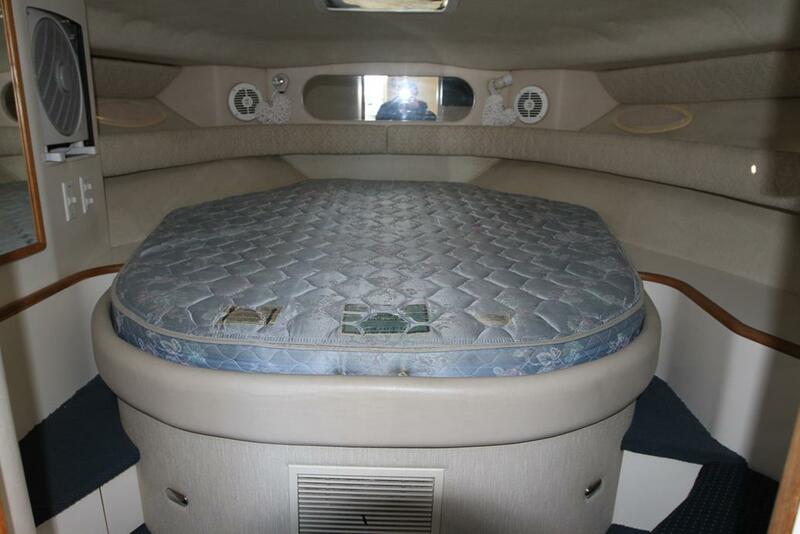 The air conditioned lower saloon area is huge and has a large wrap around leather upholstered lounge with the island berth forward and the second cabin at the rear of the saloon. 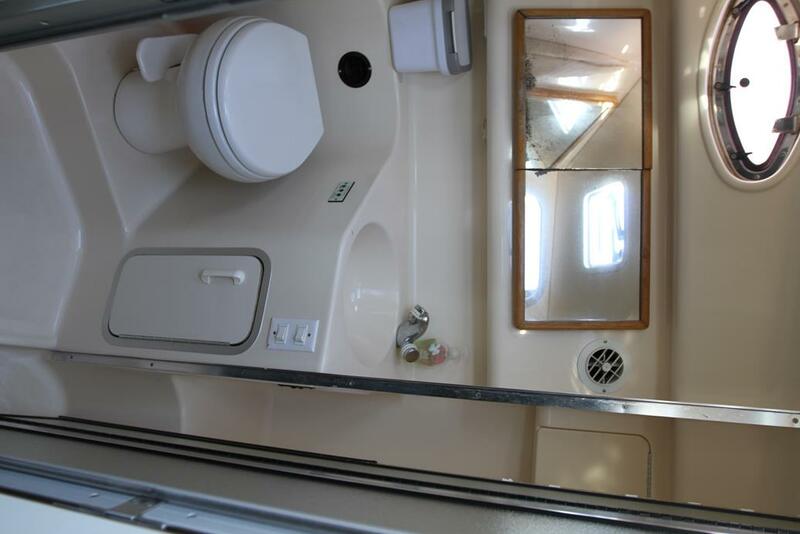 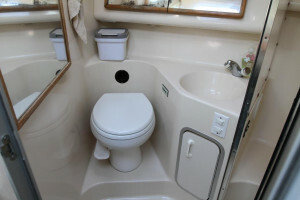 The bathroom contains a Vacu-flush toilet system and separate shower. 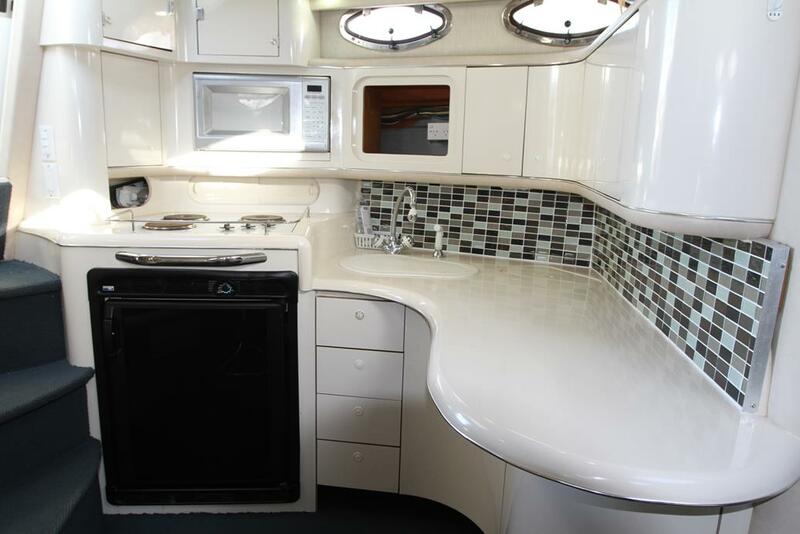 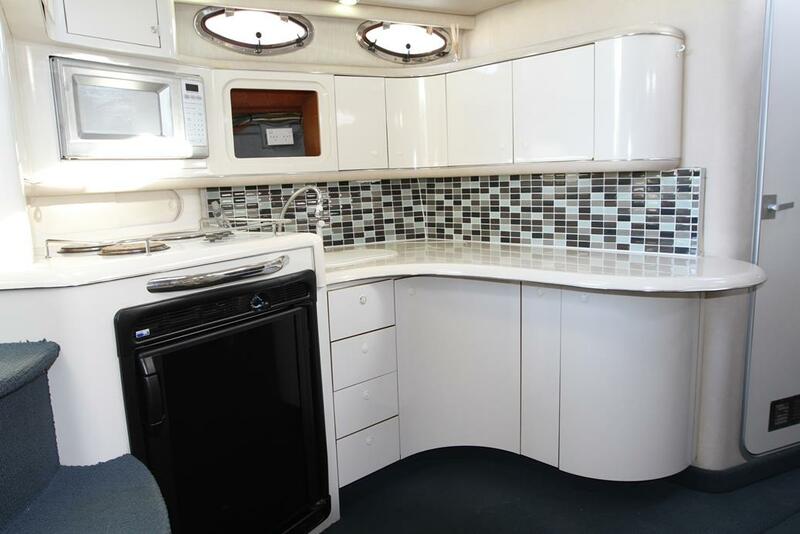 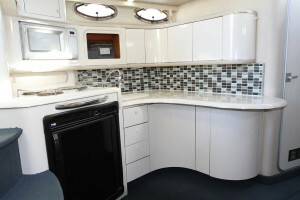 The galley has a heap of storage available and contains a microwave oven, hot and cold water and fridge. 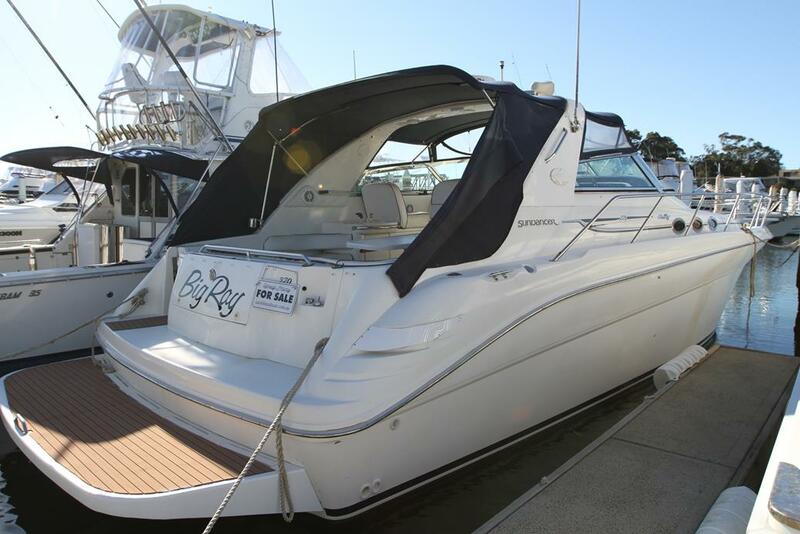 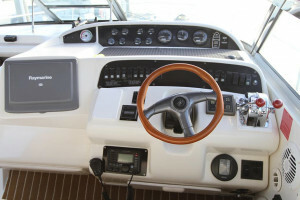 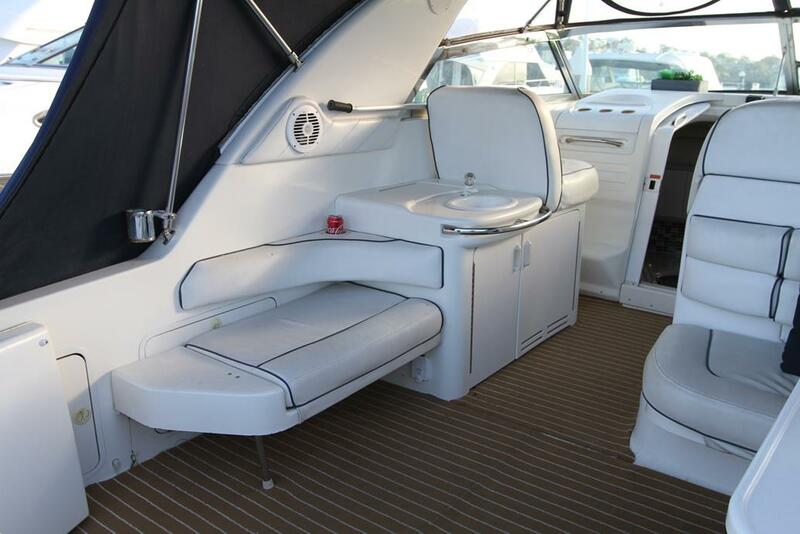 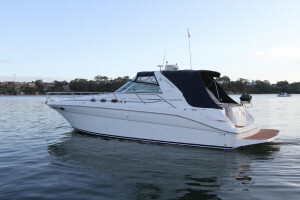 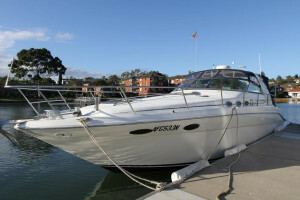 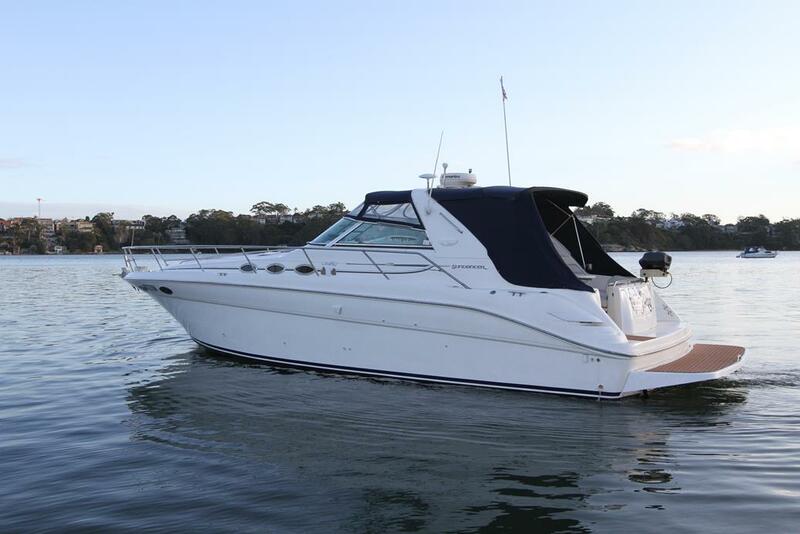 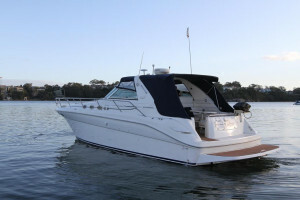 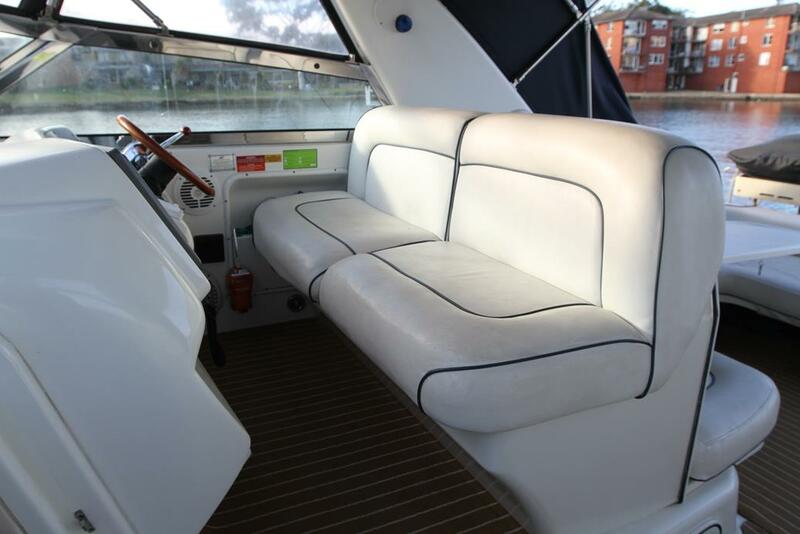 Just a few of the boats features include a Kohler generator, Air conditioning, Vacu-flush toilet system, TV with DVD, Stereo, large galley with Microwave, Two fridges, TV and DVD fitted to the front bedroom, Trim tabs, Raymarine GPS chart plotter and sounder, VHF radio, Full storm covers, and loads more. 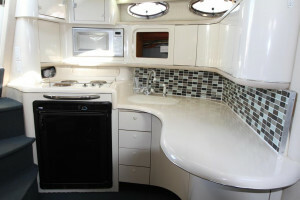 The boat was slipped and antifouled this month and is ready to go. Just traded and priced to sell fast. Service, knowledge and experience are only some of the reasons why Sylvania Marina is and will continue to be Australia's Largest Caribbean Dealer.